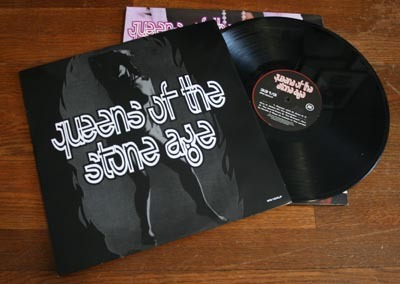 The long overdue reissuing of Queens Of The Stone Age's self-titled debut album, which spent way too much time out of print and hard to find, was something I'd been waiting on for some time. Plans for the reissue spanned months and labels, (both Ipecac Recordings and Dangerbird were partnering with Josh Homme's Rekords Rekords label before Domino wound up the big winner), and I, being the salivating fan, was tired of false promises. 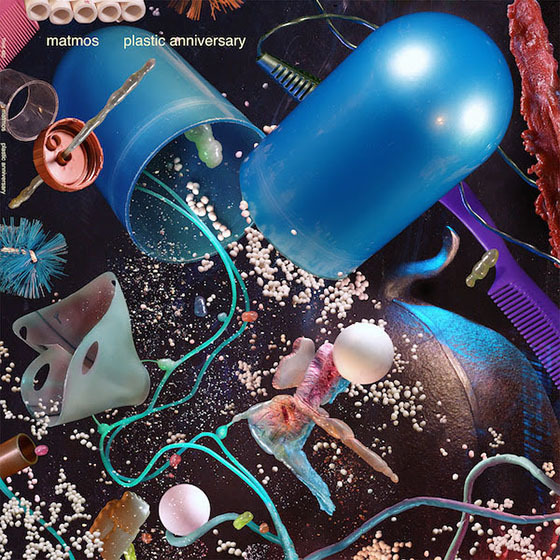 But, the album finally came out: A sweet double-LP featuring three bonus tracks, which were incorporated within the album's original sequencing. It must be said that "The Bronze" fits in pretty well with the original flow and feel of the album, but "These Aren't The Droids You're Looking For" and "Spiders And Vinegaroons" work better as B-sides. They're both confusing as inclusions, but still worthwhile points of interest for an otherwise perfect debut. Granted, I sort of went AGAINST my usual routine of buying albums through indie stores or merchants. Chalk it up to a moment of weakness. However, I have been hitting up Dischord Records directly for vinyl lately. I really like dealing with them. With these last two purchases, my shipments went out the day I paid. Plus, downloads are available immediately, even for CD purchases. It's an absolute pleasure to deal with them, so it's only an added bonus that they offer one of the best catalogues in independent music. Just about every trip to a record store, I wind up paging through Fugazi releases as if my subconscious is convinced something new will be sitting there. As a teenager, there was a substantial amount of joy I would get from buying Fugazi albums and an anticipation that would follow just before I'd hit PLAY. 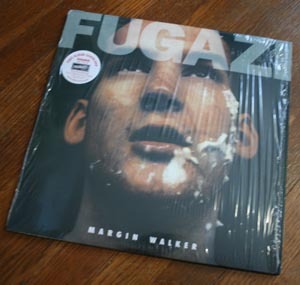 When my copy of Margin Walker arrived, I sort of relived that old and familiar euphoria and got to enjoy, for the first time, Fugazi on a turntable. It makes quite a difference, and the remastering definitely overshoots the quality of my old 1990-something copy of 13 Songs on CD. The intro to "And The Same" made quite an impression on me when I'd first heard it, and via my Sony stylus, Joe Lally's bass line and the chugging guitar sounds had much more depth. I turned the volume up and decided that I might want to reacquire all my Fugazi albums on vinyl, partly to relive the excitement of discovery, but also because there is evidence of a sonic reward for doing so. Pre-Fugazi Guy Picciotto has also been interesting more and more lately. A few months ago, I put a spotlight on the blink-and-you'll-miss-it One Last Wish and their album, 1986. 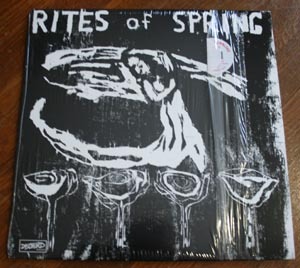 Rites Of Spring hung on my back burner too long, almost to the point of charring. I picked up End On End because it's essential and good.